Instantly eliminate static wrinkles and add facial volume. Renew Aesthetic Clinic Offers Juvederm, Dermal Fillers, and Botox in Beaverton, OR. Call (971) 470-3186 to Schedule a FREE CONSULTATION. 1. What is Juvederm Family Injectable Gel? Juvederm XC is a smooth gel facial filler. Comprised of Hyaluronic Acid, Juvederm can be used to instantly eliminate static wrinkles and add facial volume. Juvederm contains Hyaluronic Acid (HA), a vital building block of healthy, hydrated skin. As you age, HA naturally decreases, causing the skin to loose structure and volume. Juvederm replaces the HA, adding immediate fullness under the skin, and restoring a youthful appearance. 2. How are Juvederm Injectable Gel used for cosmetic purposes? Juvederm is used to replace lost facial volume and improve the look of static wrinkles: those that occur due to a loss of skin elasticity. Dynamic wrinkles, caused by repetitive muscle movements, are best treated with Botox Cosmetic. 3. Who should NOT receive Juvederm injections? What are JUVÉDERM® VOLUMA® XC, VOLLURE®, and VOLBELLA®? There are three newest dermal fillers by Allergan. They are made by the same technology called vycross. Vycross technology improves hyaluronic acid fillers so they have more volume more moldability and staying power, and less swelling. VOLUMA® is for cheeks lasting 2 years, VOLLURE® is for lower face lasting 18 months, and VOLBELLA®is for lip lines lasting 1 year. 1. Why is JUVÉDERM® VOLUMA® XC unique? JUVÉDERM® VOLUMA® XC represents a major advance in fillers. Rather than targeting specific wrinkles or folds, JUVÉDERM® VOLUMA® XC is the first injectable dermal filler FDA- approved to give lift and volume to the cheeks. 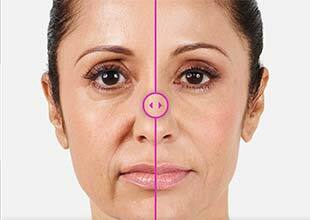 As we age the upper cheeks tend to naturally lose volume, making the cheeks flatten and look sunken. 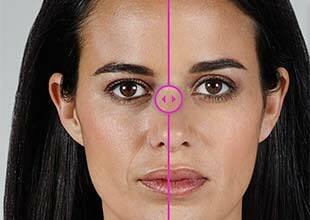 This can also make the nasolabial folds (from the nose to the mouth) look deeper, and make the lower cheeks sag. JUVÉDERM® VOLUMA® XC is injected deep into the cheeks to correct this age-related volume loss and give a subtle and natural lift and contour to the face. Treatment with JUVÉDERM® VOLUMA® XC gives immediate results and is clinically proven to last up to two years with optimal treatment. 2. Why is JUVÉDERM®VOLLURE® unique and improved filler? JUVÉDERM® VOLLURE® is smooth and injects with little pain or trauma or swelling. And it lasts 18 months. 3. Why is JUVÉDERM® VOLBELLA® unique and improved filler? because they like the choice of purchasing 1/2 just for lip lines. 4. Who Should I see for my JUVÉDERM® VOLUMA® XC, VOLLURE®, and VOLBELLA® treatment? The only way to experience a safe and beautiful JUVÉDERM® VOLUMA® XC, VOLLURE®, and VOLBELLA® experience is to use a well-trained and reputable provider. Yan Duan FNP has been providing noninvasive facial rejuvenation in Portland Oregon since 2007. If you would like to schedule a private JUVÉDERM® VOLUMA® XC, VOLLURE®, and VOLBELLA® consultation, contact our Beaverton office at (503) 843-8847.